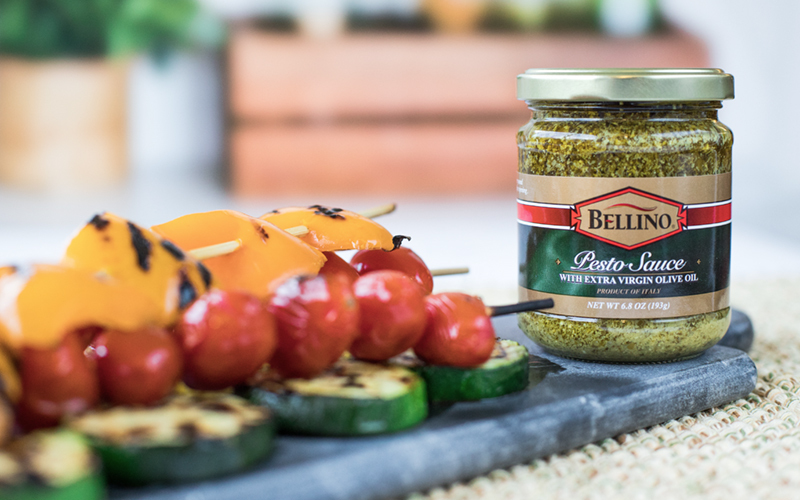 Fully prepared basil pesto is one of the simplest yet most versatile products available at your local grocery store. Pesto is a staple in the history of Italian cuisine, made with the highest quality, freshest Italian ingredients to produce a flavorful no-cook condiment that can easily dress up any recipe. Pesto yields an iconic bright green color, dense texture and pungent fresh smell of basil that’s been perfectly combined with pine nuts, garlic and fresh PDO Italian cheeses. 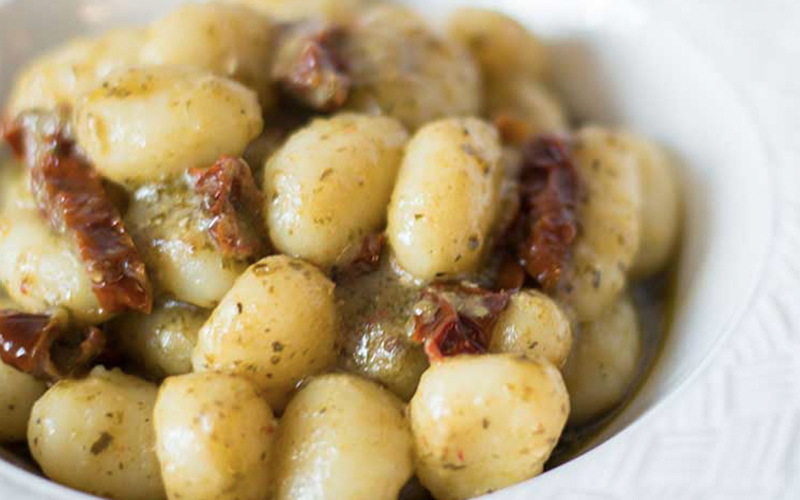 While one of the most popular uses for pesto is to toss with pasta, this flavorful sauce can also be used as a spread or dip, pizza sauce, baked into breads, or as an accompaniment to steak, poultry and fish. 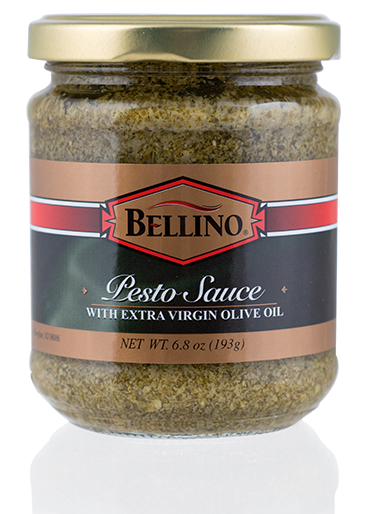 Bellino Pesto Sauce combines the delicious flavors of fresh basil, garlic, pine nuts, PDO Grana Padano cheese, PDO Pecorino Romano cheese and premium quality extra virgin olive oil for a delicious and versatile sauce. Perfect when tossed with pasta, used as a panini spread, or added to your favorite chicken dish.